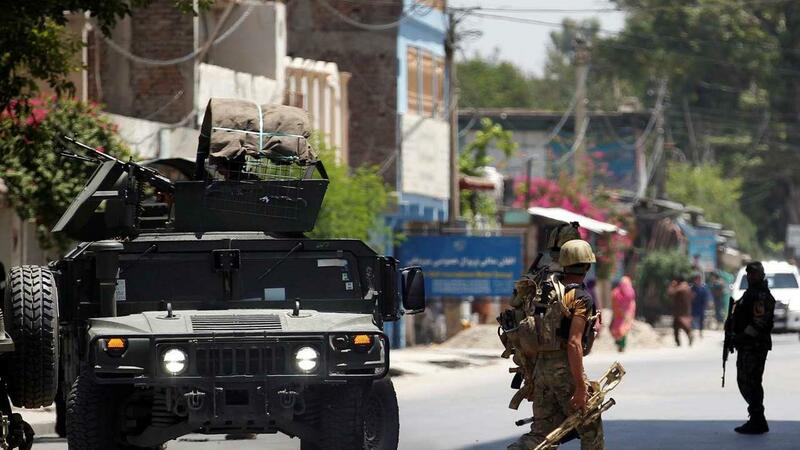 JALALABAD, Afghanistan, April 8 (Xinhua) -- One police officer was killed and seven people were wounded in a bomb attack in Jalalabad, a city in eastern Afghanistan on Monday, a local source said. "An improvised explosive device (IED) struck a police van running near the provincial Women Affairs Department and private Ariana University in Police District 3 roughly at 6:46 a.m. local time," the security source told Xinhua anonymously. An investigation has been underway and further details will be shared with the media later in the day, he said. Among the wounded were six civilian and the injured were shifted to a regional government hospital in the city. He blamed enemies of peace, referring to the Taliban militant group, for the attack. Taliban militants, who ruled the country before being ousted in late 2001, have renewed armed insurgency in the country in recent years, killing government troops as well as civilians. The city has been hit by serial bomb attacks within last week, in which four were killed, including a 22-year-old woman and two traffic police officers, and 31 others injured.